The Imagen Foundation invites Latino college and high school students from all across the United States and Puerto Rico to submit their student films to the Imagen Awards Student Film Competition. This special competition is geared towards showcasing the best short films created by the young talent within our Latino community. 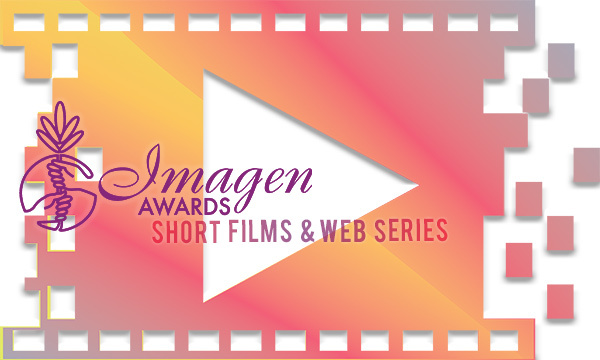 Winners of the competition will have the opportunity to have their film screened at the 34th Annual Imagen Awards, in front of many of Hollywood’s movers and shakers! Students will be able to enter in either the College or High School Competition. Please read the eligibility requirements below carefully to ensure that your film qualifies for this competition. The Imagen Awards Student Short Film Competition is open to all current college and high school students in the United States and Puerto Rico. To be considered in the competition, entrants must submit one full and complete online entry form along with an online link where the short film can be reviewed. Only one online entry form can be completed per entrant. The entry fee is $50USD for the College Competition and $25USD for the High School Competition, due upon entry submission. Entry fees are non-refundable. Entries are accepted from April 1st to April 30th. Deadline to submit is April 30th at 11:59pm PDT. The winning films will be screened at the 34th Annual Imagen Awards, which is attended by celebrities and some of Hollywood’s major industry players, as well as showcased on the Imagen Foundation website and social media. College Competition: $500USD cash prize and one complimentary ticket to attend the 34th Annual Imagen Awards Gala in Los Angeles, CA. Please note that transportation to and from Los Angeles and accommodations are not included. All submissions must be made online. Click here to go to the entry form. All required fields in the form must be filled out and the entry fee paid upon submitting. Deadline to submit is April 30, 2019. If you have any questions about the competition or encounter any issues when submitting online, please contact our office via email at awards@imagen.org or call (626) 376-9751.